Exhibitions have become central to museum funding. Probably the biggest development in my lifetime was the arrival of Tutankhamun at the British Museum in (I think) 1974, which created a sensation. Where once you visited permanent displays many times and saw occasional loaned-out items, suddenly items that had been impossible to see came to you. Now museums have become analogous to theatres. This seems an organic development; the cost of shipping and insuring Egyptian treasures, say, has become prohibitive, and curation is complex. Completing the circle is the arrival of the ‘experience’, a form of worldwide curation that allows for immersion in the story of a particular exhibition. And central to these has been the addition of staging. Yesterday I caught up with the David Bowie exhibition curated by the V&A, which I missed in London and is currently touring major world cities. It seems to me entirely valid that it should do so because Bowie, born David Jones, was someone who set out to create an alternate identity in all areas of his life, and along the way influenced art, film and music. You probably don’t realise just how much he did until you explore his story. The reaction of some to such exhibitions is ‘But I’m not interested in that kind of music’. It doesn’t stop us from seeing the works of a painter we don’t know, so it’s best to think of it as learning about art from a different source. The Bowie staging is concisely and intelligently handled, wedding his work to social change (a sneering, outraged piece from the TV show Nationwide is particularly telling) and the obsessions of the late 20th century. Bowie presented himself as an alien visiting a world in which he had no place; no wonder Nic Roeg directed him in ‘The Man Who Fell To Earth’. The Bjork exhibition, also currently touring the world, is a further step into immersion. In this we were wired up with VR headsets and earphones, and could walk around in other worlds Bjork had manufactured. These took us inside landscapes, fantasies, physical states (pain, loss) and even inside her body. Less influential and perhaps more solipsistic than most, the exhibition becomes more of an experience and less of a learning curve, and often teeters on the edge of pretence. It’s all very beautiful, and there’s an end sequence, with Bjork and David Attenborough discussing new forms of music based on the natural and scientific worlds, and the use of an educational app that is showing schoolchildren how to create innovative musical notation, showed some of her other interests. The Pink Floyd exhibition currently at London’s V&A, which I’ll be seeing shortly, showcases their interest in wedding longford musical pieces to surreal art, film, stage and photography, exploring their influences on other artists and how avowedly non-commercial art reaches the mainstream. You would have to know nothing at all about them to disagree with their inclusion in a museum. I remember being strongly influenced by their work in art classes. I can imagine a small handful of other influential performers (it would be good to see a key black performer – Bowie’s hero was Little Richard) but the danger in all of this is that success will bring too many such shows which strive for social pertinence and importance. The cultural impact of Right Said Fred or Jay-Z, anyone? If we ask ourselves where Bowie stood on the line between art and commerce, it’s worth remembering that his producer refused to release ‘Space Oddity’ because it was too commercial! Bowie was first and mostly an artist. He was well aware of his image through that training, sin an exhibition seems reasonable. But Pink Floyd and others, well, if you missed their gigs, just put on the records. Not sure an exhibition is going to help there. Tutenkhamen was a revelation. All that splendour hurried together as he died unexpectedly only aged 18 or 20 or something. And those Babylonian tablets they have just deciphered – can’t help feeling our ancestors would be disappointed with our progress. I remember Tutankhamun as being at the British Museum in 1972. I’m fairly sure that I went there after my second-year exams at university. There was a thrill about it all: relief after the most exhausting exams of my course; a trip with friends; the early morning train to London; the queue, which wasn’t nearly as bad as it was supposed be; first sight of the mask … . We were lucky with the queue: my girlfriend went another day and, after standing for hours, she and her friends abandoned the wait. About two decades later, we saw the same things as more ‘normal’ displays in Cairo and, though very interesting, the thrill (at least for me) was not the same. My reaction to special exhibitions since then have varied, but probably never reached quite the same height. Some of the better ones have been opportunities to see items from private ownership or to view as a group related items that are usually spread around the world. The worst have involved paying too much to shuffle through a space too crowded to see anything very well. It’s especially bad when many of the other visitors don’t even seem very interested in the exhibits. Why did they buy tickets? My “introduction to calligraphy” starts with asking a class what they would use to make marks and what they would mark on. They’re older adults so you don’t get much more than bemused stares, but the idea that you use what is most common makes Babylonian clay tablets more understandable. The latest photos I’ve see of someone making a tablet give you the real sense of digging that stylus into the clay. You keep a lot of geese, the feathers spring to mind and Egypt has those papyrus reeds. Sorry, I’m getting ready for the fall and you mentioned the tablets. Museums will stage whatever the public expresses interest in, but you hope they look at the permanent exhibits as well. I never tired of guiding classes through our museum and the British Museum was a revelation. The phrase is something like “the thing itself” which is why we are fascinated by King Charles’ shirt (how’s that for a pub name? No, probably not.) I’ll bet that was what was behind the fascination with Dan Brown’s Da Vinci Code. Things that stick in the mind – I remember seeing Nelson’s coat with the bullet hole, and I wandered through the Cairo Museum seeing so many relics covered in dust and virtually ignored. I went down into a tomb that had only just been opened and was thrilled that I was one of the earliest members of the public to set eyes on it. But many exhibitions leave me cold now. 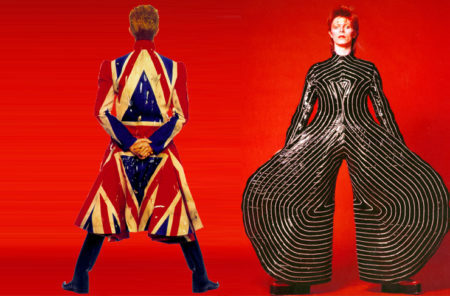 The Bowie one touched me more than the others because although he was older than me we shared similar backgrounds. You have a greater interest when you have a personal connection with the material. Just like that, “Invasion of Normandy”. Tick and move on. Gracious, I wonder what item 4 was, Destruction of German forces? That would stick in the mind.